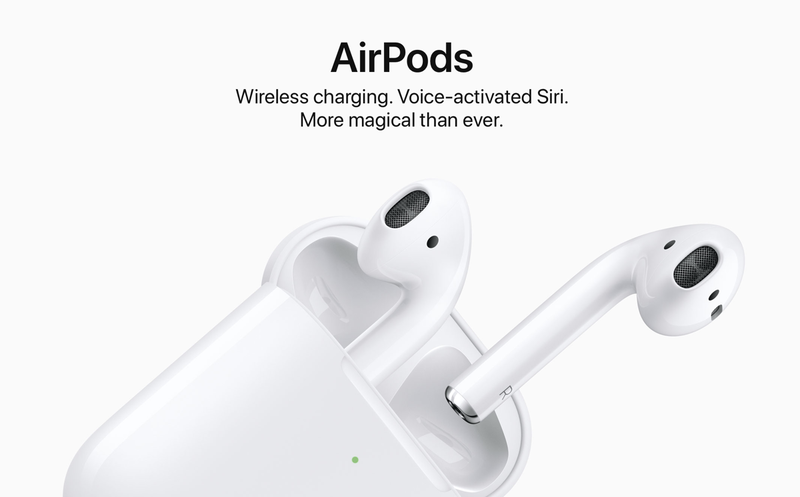 Besides H1 Chip, the AirPods also consists of the following components: Cypress SoC, Maxim audio codec, Bosch BMA280 accelerometer, STM 3 axis accelerometer, STM regulator, TI data converter, Goertek MEMs microphones. All these components are concentrated in 12 mm cubic area. However, it boosts the same processing performance as an iPhone 4. It is worth noting that for those who purchase the new AirPods 2 wireless charging case can now request for a free laser engraving service on Apple's official website, you can write down whatever you want to say, though keep in mind that you can only record 20 characters on it and that it may extend the delivery date.